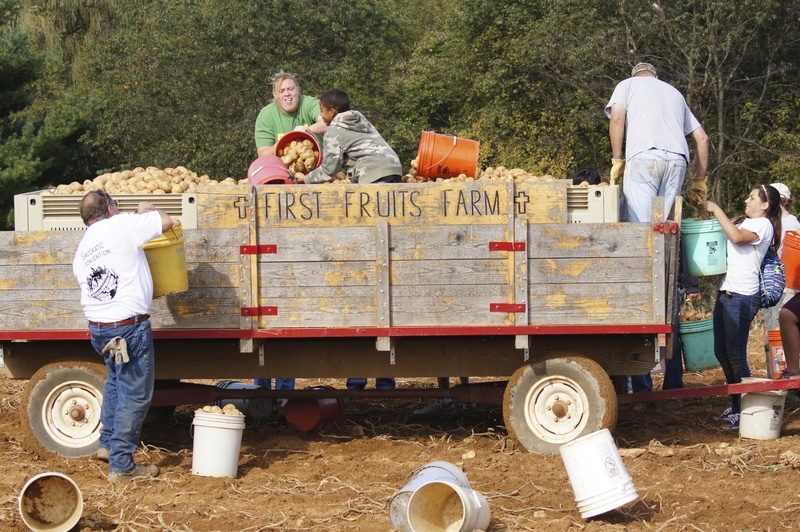 For over five years, thousands of people have helped harvest millions of pounds of food for our friends and neighbors in need across the Eastern Seaboard. Please help our ministry expand and grow - your monetary gift is tax-deductible and will help First Fruits Farm to grow and support even more people than ever before! First Fruits Farm, Inc is a 501(c)3 non profit organization. Contributions to our organization are tax deductible under section 170 of the Internal Revenue Code. We are also qualified to receive tax deductible bequest, devises, transfers, or gifts under section 2055, 2106, or 2522 of the Code. This letter serves as your receipt for tax purposes. As you may be aware, the IRS no longer will accept a canceled check as substantiation of a charitable contribution of $250 or more. This letter further serves to verify that you did not receive anything of value in exchange for your contribution. Therefore, the entire amount of your donation is tax-deductible.